Fabulous New Service - Lash Lift! A fabulous new service has arrived at Panache Salon and Spa--the Lash Lift is here! Do you wake up not wanting to curl your lashes? Or better yet, wish you didn't have to curl them and apply mascara? If you answered YES--this is for you!! 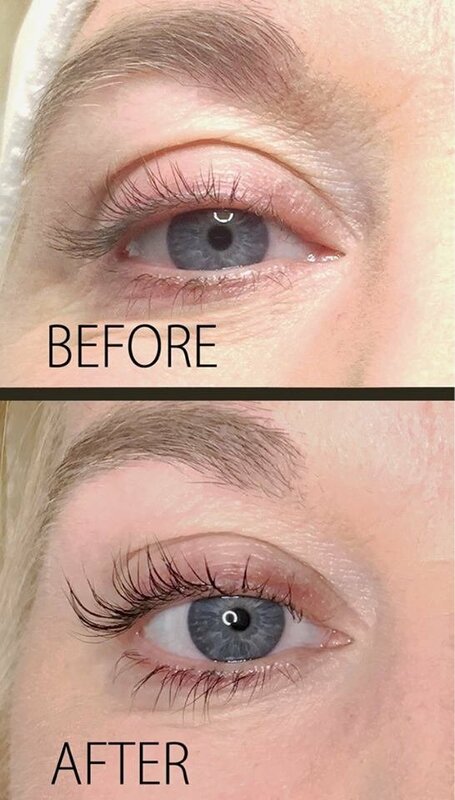 We have several options based on your needs- you can receive a lash lift alone, a lash lift and tint or just a lash tint and the results last about 10 weeks. Customize our services to what you want and make your mornings easier with the help of Panache! Thank you, Michele Ashby Farrell, for being our beautiful model for this wonderful new service--everyone is loving your lift and tint.